With consideration that it is only May of 2018, this two-county area has already closed on 5,015 properties which is a substantial increase from this time last year! While the inventory levels dropped during the month of March, the median prices only continue to rise. This past month has also shown pending sales increasing greatly with indicating more closed sales on the horizon. Altogether, the closed sales for single-family homes and condos have raised 2.3% with comparison to this time last year! 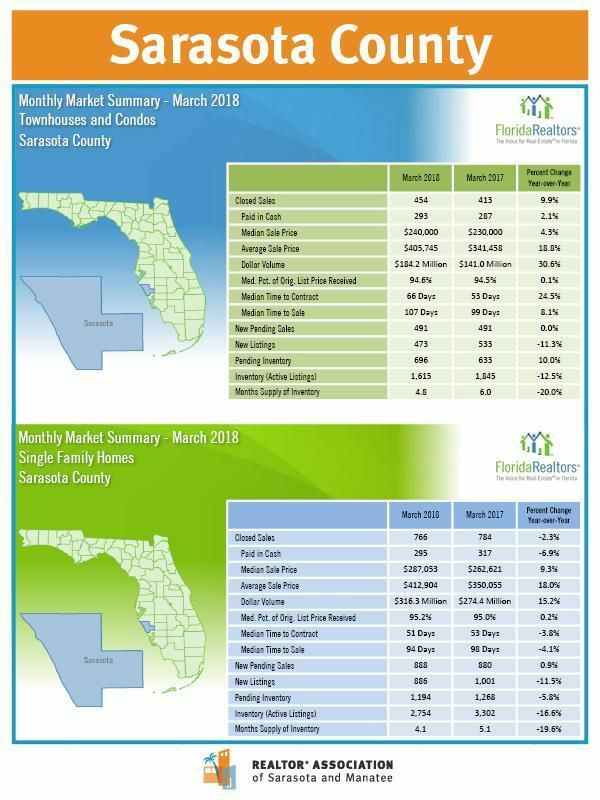 The condominium market has had an improvement with sales with a 9.9% increase in Sarasota County and a 9.7% increase in Manatee County. On the other hand, single-family home sales have lowered about 0.2% to 580 in Manatee County and Sarasota County decreased by 2.3% to 766. 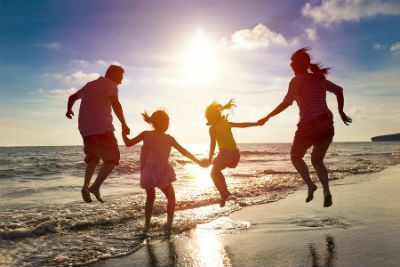 With the close of ‘season’ fast upon us, we are once again showing an increase in combined sales in both counties, said Greg Owens, 2018 President of the REALTOR® Association of Sarasota and Manatee. For Manatee County, the median sale prices have raised substantially- 15.1% to $201,500. Sarasota's condominium sales increased 4.3% to $240,000. 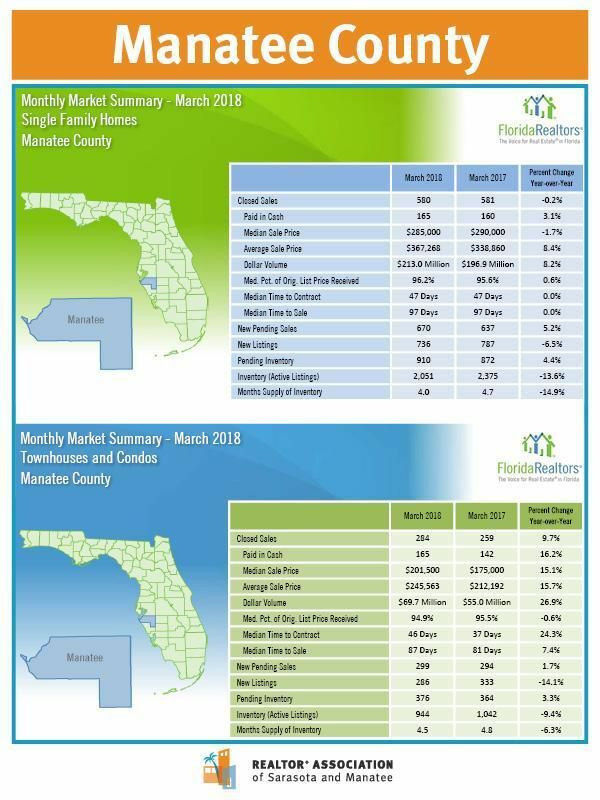 With focus on single-family homes, the median sale prices rose 9.3% in Sarasota County to $287,053 while Manatee dropped by 1.7% to $285,000. The amount of properties that did go under contract this year also increased since March of 2017. The combined pending sales for both condos and single-family homes rose 4.9% since this time last year. Note for Current Seller's: Currently, the market is remaining strong for you- Give me a call today at (941) 404-4737 to take advantage of it NOW! With reference to inventory, you can see that there has been a decrease in the amount of new listings which indicates that selling season is coming to an end. Compared to 2017, the amount of properties that have been brought to the market have decreased by 7.6% in 2018. With a combination of Sarasota and Manatee County, the current inventory has dropped about 14% since this time last year. In comparison to last year condominium inventory dropped 11.4% while single-family homes dealt with a 15.4% decrease. To compare a month to month change, last month experienced a decrease in inventory by 12.2% for both Sarasota and Manatee County.